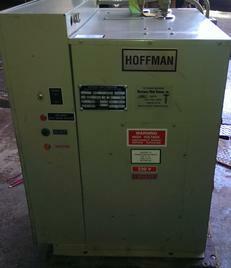 Just in is a Hoffman 18kw steam boiler electric call for price we also have the return tank and pump to go with the boiler the year of the boiler is 2004 this is for 3 phase electrical hook up. 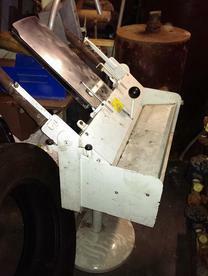 used manual folder forenta call for price. rema rp5 machine vacuum head. 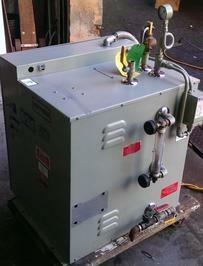 used boiler blowdown tank many sizes in stock call for price ! Business owners dont have to worry about whether or not their equipment is reliable upon receipt. Each piece of equipment sold is inspected prior to it being sold. The quality assurance programs guarantees that the equipment sold is of the highest quality and capable of meeting performance expectations. Upkeep and maintenance support can further extend the life of the companys initial investment in used equipment. Support services available give companies the opportunity to schedule their repairs as needed. It is possible to get quality dry cleaning equipment at a discounted price. Sussex Equipment has been supplying dry cleaning companies of all sizes with the equipment support they need at prices business owners can afford. Every piece is tested and evaluated in order to make sure that each system delivered meets performance needs. Brand new 2016 hydrocarbon f40se Italian made FIRBIRMATIC OF COUARSE buy with confidence over 40 years in the industry you can get parts all the time no worries of equipment that is hear today gone tomorrow types meaning out of business then you are stuck with a machine you can not get parts for 2 IN STOCK CALL FOR PRICE THIS MACHINE NEEDS ONLY AIR AND ELECTIC TO OPERATE NO STILL ONLY FILTRATION 4 JUMBO TUBES ALSO HAS SPRAYMATIC WASHING AS WELL CALL FOR GREAT PRICE!!!!! !